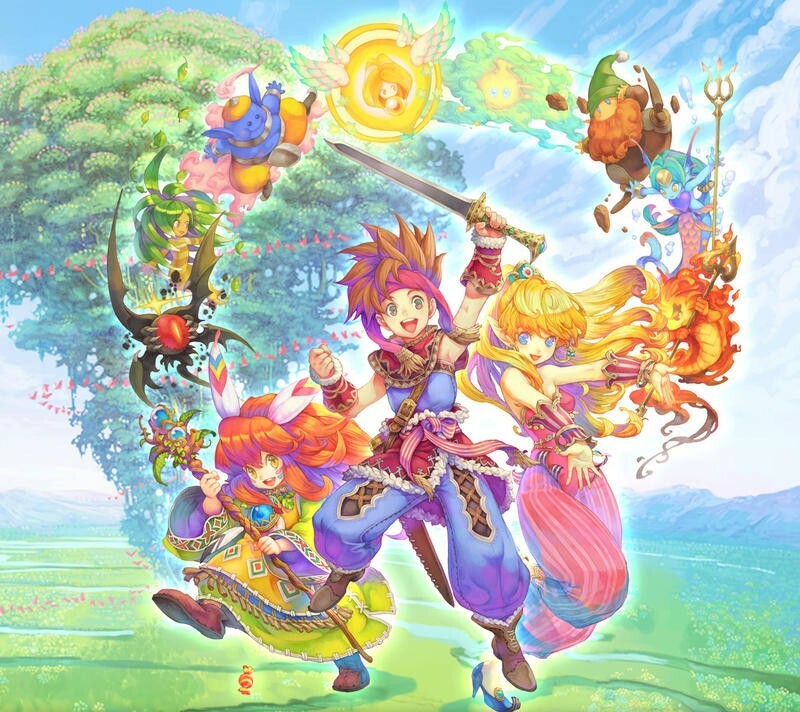 Square Enix Working on a New Secret of Mana Game? Could Square Enix be making a new game in its fabled and long forgotten Mana series? 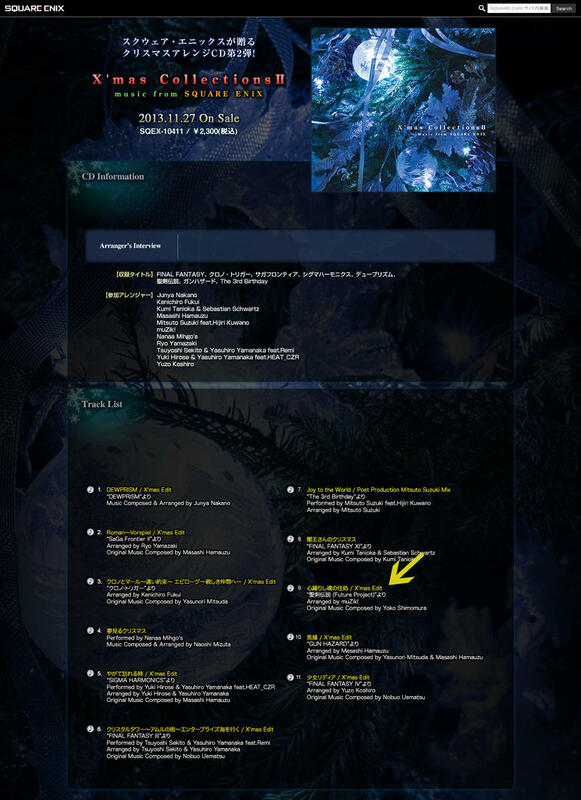 The label of a Square Enix Christmas compilation seems to suggest so, holding songs from a game using the series’ Japanese title, Seiken Densetsu Future Project. One of the biggest complaints aimed against Square Enix these days is how little it supports its older, lesser known franchises. Poor receptions of revivals could be the main culprit in these decisions, and nowhere does that stand clearer than in the Mana series. Secret of Mana, once a proud flagship title for the company, has been a hard act to follow up on. A few sequels such as Secret of Mana 2, never released outside of Japan, and Legend of Mana had some neat ideas and were fun games in their own right, but the universal praise of the SNES classic still hasn’t been matched. The series’ future took a turn for the worse when Square Enix launched a revival campaign called World of Mana, and every game caught in its wake stunk of rotten sushi and effectively killed any further chance of it seeing the light of day. Interviews with series creator Kouichi Ishii also don’t show much enthusiasm on his part. Square Enix has since relegated it to its mobile department, 2013’s Circle of Mana being an online card game because Japan doesn’t have enough of those. Hopefully the unannounced game might be something better like an original Nintendo 3DS adventure. Sign me up! The shining beacon of hope that is pointing towards a quality release can be found in the track’s composer, Yoko Shimomura. She has been behind many wonderful game scores and ranks fairly high on the all time great lists with titles like Street Fighter II, Parasite Eve, Legend of Mana, Kingdom Hearts, and the Mario and Luigi games to her name. Her A-list resume implies that this will be a full effort from Square Enix. A new Mana game would look quite nice next to Bravely Default and Dragon Quest VII on my Nintendo 3DS menu screen, wouldn’t it? One can dream, can’t he? What would you like to see?